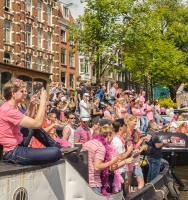 The First Ever World Religion Boat, took part in the Euro Pride Canal Parade (2016) in Amsterdam. 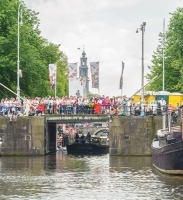 The theme of the Faith Boat was to COEXIST in Freedom. Five major religions were represented thus demonstrating that 'it is possible for all faiths to coexist in peace and freedom' (Barbara Rogoski).